50% of us live near the coast. Why doesn't our data? 50% of us live near the coast. Project Natick seeks to understand the benefits and difficulties in deploying subsea datacenters worldwide. 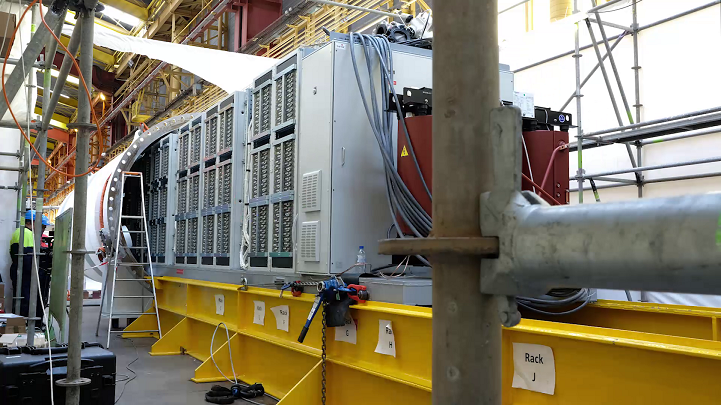 Phase two extends the research we accomplished in phase one by deploying a full-scale datacenter module in the North Sea, powered by renewable energy. This is the continuing story of Project Natick. Learn more about Project Natick research below or read the Natick story here. Natick Northern Isles has to-date demonstrated dramatically better reliability than our land-based counterpart! During commissioning, Natick reached as high as second in the world for daily run time on World Community Grid. Since commissioning, Natick Northern Isles is being used by more than 18 groups at Microsoft. As you can see, things grow quickly in the ocean! Unfortunately our live cameras are currently biofouled. Stay tuned for when they get cleaned! 12.2m length, 2.8m diameter (3.18m including external components); about the size of a 40' ISO shipping container you might see on a ship, train, or truck. 100% locally produced renewable electricity from on-shore wind and solar, off-shore tide and wave. 12 racks containing 864 standard Microsoft datacenter servers with FPGA acceleration and 27.6 petabytes of disk. This Natick datacenter is as powerful as several thousand high end consumer PCs and has enough storage for about 5 million movies. European Marine Energy Centre, Scotland, UK. 1 atmosphere pressure, dry nitrogen. Less than 90 days from factory ship to operation. Project Natick is a research project to build an underwater datacenter. 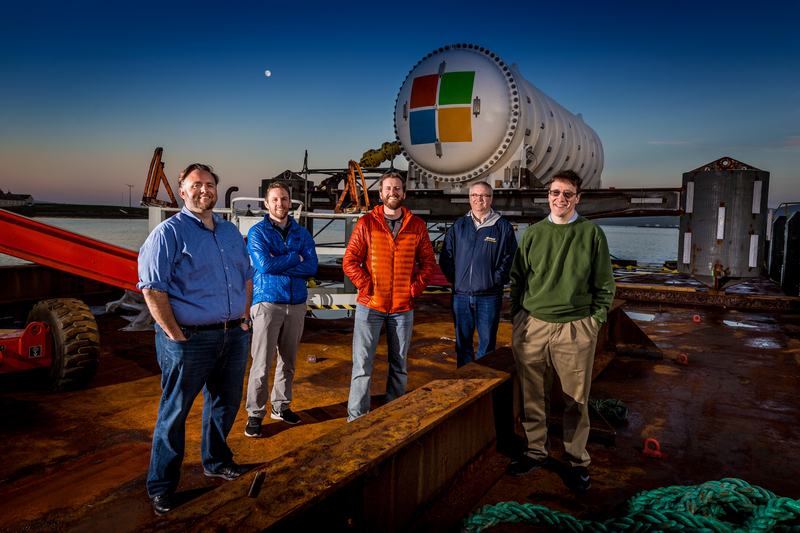 Microsoft is investigating the numerous potential benefits that a standard, manufacturable, deployable undersea datacenter could provide to cloud users all over the world. The Natick Phase 1 vessel was operated on the seafloor approximately one kilometer off the Pacific coast of the United States from August to November of 2015. 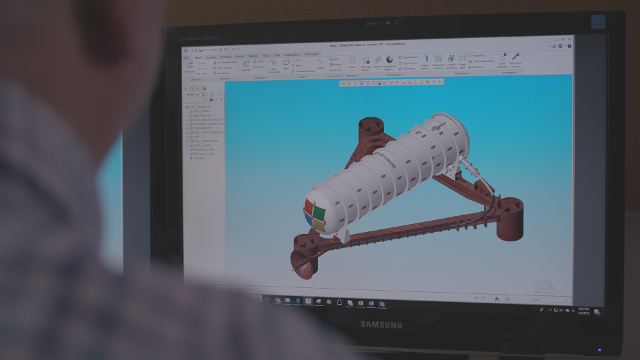 Phase 2 of Natick aims to demonstrate that we can economically manufacture full scale undersea datacenter modules and deploy them in under 90 days from decision to power on. 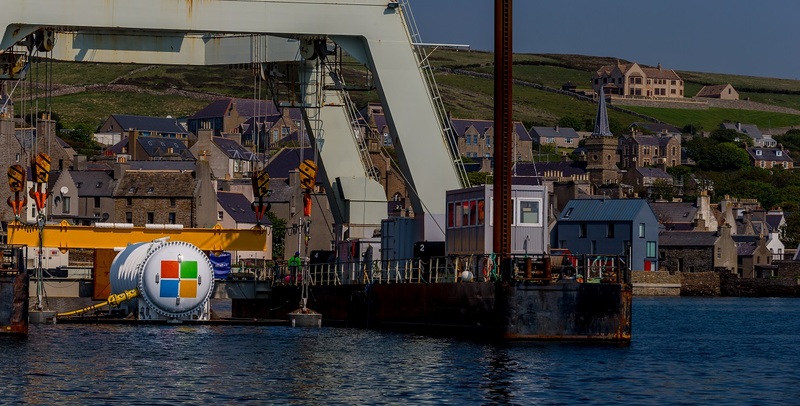 The Phase 2 vessel was deployed at the European Marine Energy Centre located in the Orkney Islands, UK in June of 2018. Project Natick reflects Microsoft’s ongoing quest for cloud datacenter solutions that offer less resource intensive options, rapid provisioning, lower costs, and high agility in meeting customer needs. Project Natick is focused on a cloud future that can help better serve customers in areas which are near large bodies of water (where nearly 50% of society resides). The vision of operating containerized datacenters offshore near major population centers anticipates a highly interactive future requiring data resources located close to users. 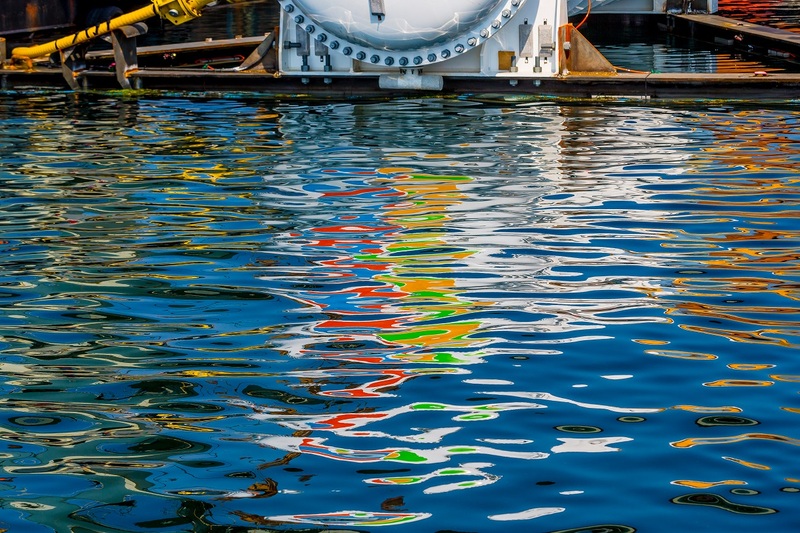 Deepwater deployment offers ready access to cooling and a controlled environment, and has the potential to be powered by co-located renewable power sources. Rapid provisioning: Able to deploy a datacenter at scale from start to finish in no more than 90 days. Latency: Latency is how long it takes data to travel between its source and destination. Half of the world’s population lives within 200 km of the ocean so placing datacenters offshore increases the proximity of the datacenter to the population, dramatically reducing latency and providing better responsiveness. Signals travel around 200 km/millisecond across the Internet, so if you are 200 km away one round trip to the datacenter takes about 2 milliseconds but if you are 4000 km away each round trip takes 40 milliseconds. For example, if you are playing a video game like Minecraft, latency would affect how fast the blocks you place show up in the game. Or if you are browsing the web, latency could affect how long it takes to completely paint a new webpage with lots of content. Modern television at 30 frames per second is just 33 milliseconds per frame. Some videogames exceed 100 frames per second or just 10 milliseconds per frame. Sustainability: We aspire to create a sustainable datacenter which leverages locally produced green energy, providing customers with additional options to meet their own sustainability requirements. Natick datacenters are envisioned to be fully recycled. Made from recycled material which in turn is recycled at the end of life of the datacenter. A Natick datacenter co-located with offshore renewable energy sources could be truly zero emission: no waste products, whether due to the power generation, computers, or human maintainers are emitted into the environment. We see this as an opportunity to field long-lived, resilient datacenters that operate “lights out” – nobody on site – with very high reliability for the entire life of the deployment, possibly as long as 10 years. Natick datacenters consume no water for cooling or any other purpose. How would a Natick datacenter impact the environment? We aspire to create a sustainable datacenter which leverages locally produced green energy, providing customers with additional options to meet their own sustainability requirements. What other Microsoft groups are supporting Project Natick? Project Natick is a complementary effort bolstering Microsoft’s ever evolving datacenter ecosystem. The researchers have collaborated with employees from across Microsoft, especially from Microsoft’s Cloud and Enterprise Group, who have contributed their expertise to the project in such diverse areas as server design, datacenter cooling and electrical architecture, network provisioning, sustainability, reliability analysis, and economic modeling. What did you learn from the Phase 1 prototype? We confirmed that we can successfully deploy and operate datacenter equipment in an undersea environment. Challenges our prototype tackled included cooling large scale electronics and withstanding the effects of biofouling. What have you learned from the Phase 2 prototype so far? We have confirmed that we can economically manufacture full scale undersea datacenter modules and deploy them in under 90 days from decision to power on. We learned that existing ocean engineering companies like Naval Group have the resources and talent to build these vessels and deploy them anywhere in the world. What is different about Phase 2? Phase 1 demonstrated the feasibility of the subsea datacenter concept, including our ability to remotely operate a Lights Out datacenter* for long periods of time, operating with a highly efficient PUE (power usage effectiveness is total power divided by server power; lower values are better, 1.0 is perfect) of 1.07, and using no water at all, for a perfect WUE (water usage effectiveness is the liters consumed per megawatt of power per minute; lower values are better, 0 is best) of exactly 0 vs land datacenters which consume up to 4.8 liters of water per kilowatt-hour. We anticipate that Phase 2 will surface design and operational issues that may require further refinement post-deployment and should be captured during Phase 2 to inform subsequent work, in particular, productization. * A lights out data center is a server or computer room that is physically or geographically isolated, thereby limiting environmental fluctuations and human access. Unnecessary energy used for lighting and for maintaining a proper climate around frequently used doors can be saved by going lights out. Is a Natick datacenter renewable/recyclable? Our vision is for Natick datacenter deployments of up to 5 years, which is the anticipated lifespan of the computers contained within the vessel. After each 5-year deployment cycle, the datacenter vessel would be retrieved, reloaded with new computers, and redeployed. The target lifespan of a Natick datacenter is at least 20 years. After that, the datacenter is designed to be retrieved and recycled. Are there other similar efforts in Microsoft Research to improve the sustainability of datacenters? Both Microsoft Research and Microsoft Cloud and Enterprise, the business unit responsible for Microsoft’s datacenters, have ongoing research projects and specific initiatives focused on reliability, renewable energy, energy efficiency, and other efforts to improve the sustainability of our datacenters. When will Natick datacenters be more widely available in a product? Project Natick is currently at the research stage. It’s still early days in evaluating whether this concept could be adopted by Microsoft and other cloud service providers. What does the name Natick mean? Natick is a codename and carries no special meaning. It is a town in Massachusetts. Natick uses AI to monitor the servers and other equipment for signs of failure and to seek to identify any correlations between environment and server longevity. Because Natick operates like a standard land datacenter, the computers inside Natick can be used for machine learning to provide artificial intelligence to other applications just as in any other Microsoft datacenter. How are Natick datacenters powered? For this Phase 2 deployment, the Natick datacenter is connected to the Orkney power grid in Scotland. The Orkney Islands produce enough renewable energy to power the islands, our datacenter, and feed the remaining renewable energy back to the main Scottish power grid. This renewable energy is a mix of off-shore wave and tide, and on-shore wind and solar. More here. Future Natick research will explore directly powering a Natick datacenter by a co-located ocean-based green power system, such as offshore wind or tide, with no grid connection. By co-locating with a green power source, undersea datacenters can help the environment and reduce strain on overstressed electric grids. Or even bring both electricity and the cloud to underserved communities around the globe. After the success of the first phase of project Natick, we immediately set to work on Phase 2. We had a few major goals in mind: make it full scale, deploy it deeper and in harsher conditions, and power it with completely renewable energy. An RFI was issued seeking information about the feasibility of deploying a Natick datacenter in the ocean powered by renewable energy. A select group of marine organizations was invited to present proposals to realize our vision for Natick Phase 2. From a very strong field of proposals, we selected Naval Group and its subsidiary, Naval Energies to lead design, fabrication, and deployment of the Phase 2 datacenter. We designed subsea equivalents of all elements typically found in a land datacenter including networking, electrical and cooling systems, environmental monitoring, and more. Fabrication of datacenter complete. All IT equipment installed and tested. The vessel is shipped to Stromness, UK. The Natick Phase 2 vessel, "Northern Isles", was deployed at the European Marine Energy Centre on June 1st, 2018. Look for more information here soon! It all started in 2013 when Microsoft employee, Sean James, who served on a US Navy submarine submitted a ThinkWeek Paper. Norm Whitaker read the paper and built a team to explore the idea of placing computers or even entire datacenters in water. In late 2014, Microsoft kicked off Project Natick. The rest is history. A Microsoft white paper comes to the attention of senior leaders. 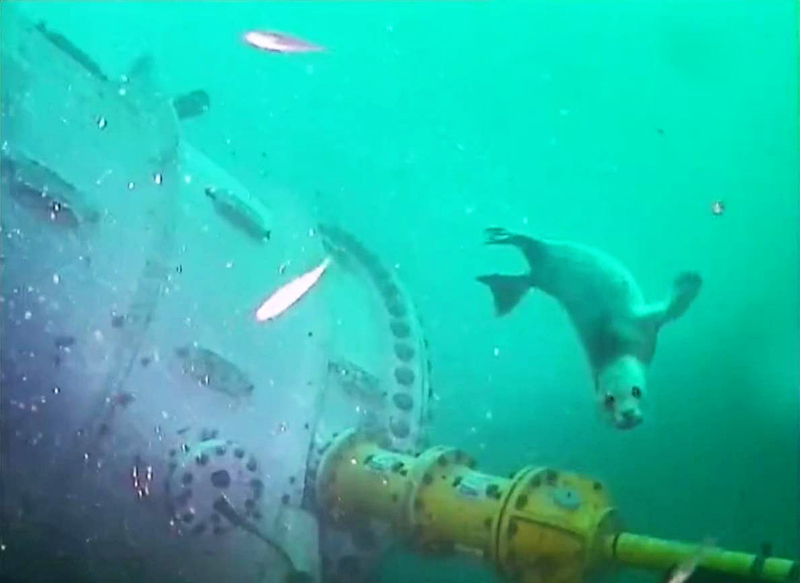 It describes an underwater datacenter, powered by renewable ocean energy. Project begins with kickoff meeting in Redmond. The Leona Philpot is christened and deployed off the coast of California. The Leona Philpot system is thoroughly tested and monitored. After a very successful series of tests, the Leona Philpot is lifted out of the water and is brought back to Redmond for analysis and refitting. The Liquid Grid: "Underwater Datacenters"
IEEE Spectrum: "Want an Energy-Efficient Data Center? 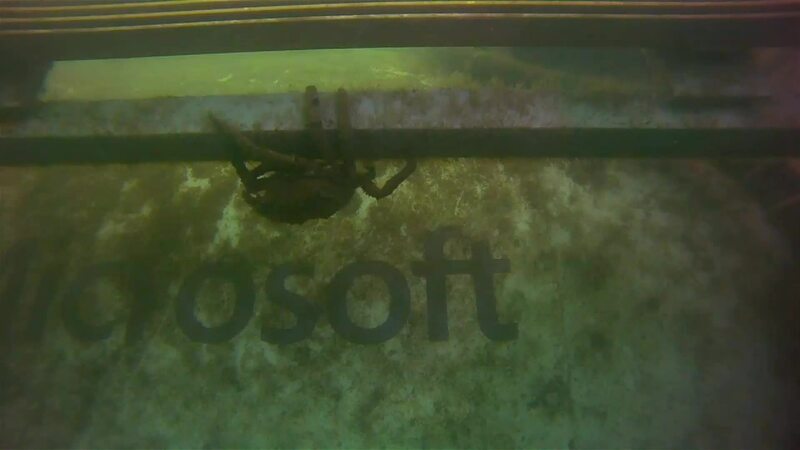 Build It Underwater"
New York Times: "Microsoft Plumbs Ocean Depths to Test Underwater Data Center"
Fortune: "Microsoft Test Drives (Dives?) Submarine Data Center"
VentureBeat: "Microsoft's Project Natick brings data centers underwater"
Microsoft News Center: "Microsoft research project puts cloud in ocean for the first time"
Digital Trends: "Microsoft is making a digital Atlantis by putting data centers under the sea"
PC World: "Microsoft's audacious Project Natick wants to submerge your data in the oceans"
Business Insider: "Microsoft has a crazy project to build massive data centres under the sea"
ABC Online: "Microsoft goes underwater to test mega internet data centre technology"
Popular Science: "This Is Why Microsoft Is Putting Data Servers In The Ocean"
Tech Insider: "This is Microsoft's plan to power the internet from under the sea"